4 Comments on My bariatric approved Lasagne recipe! Lasagne is one of my ultimate comfort foods. There is nothing else quite like the yummy pasta, meat and béchamel sauce combination and since my mum taught me how to make it when I was a teenager I’ve made it regularly. 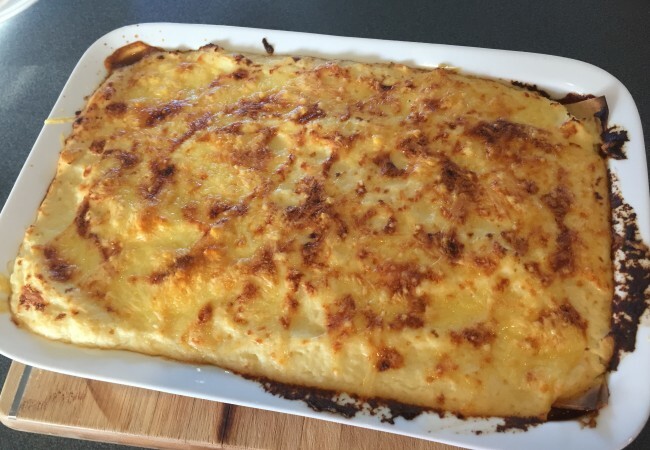 For a long time after my bypass I avoided carbs and would put aside some of the meat mixture and béchamel sauce and have lasagne sans pasta when I made it for my family. 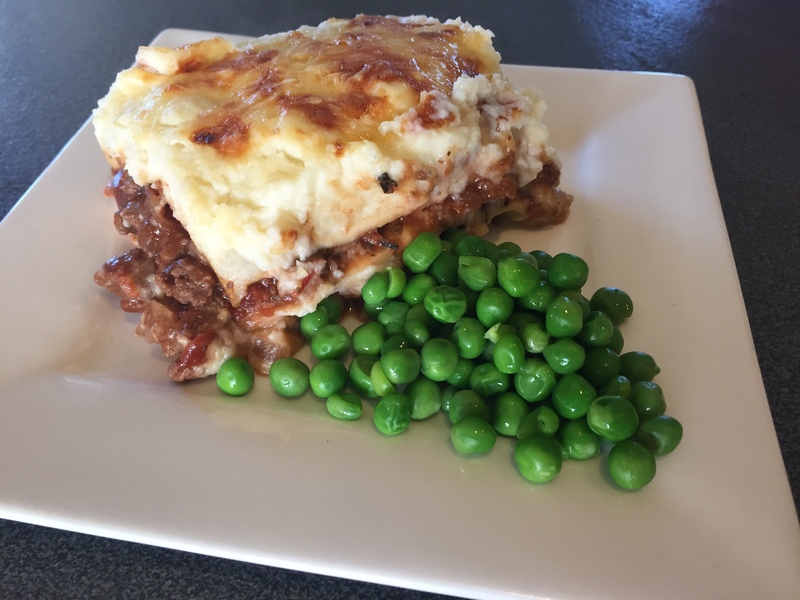 The following recipe is pretty yummy and a good substitute bariatric lasagne, I had an idea the other day and I think I’ve managed to come up with a healthier and far more bariatric appropriate version of this old favourite of mine. Pasta is one thing I haven’t really missed at all after my gastric bypass, which to be honest I’m quite surprised about. Even if I did miss it my tiny tummy doesn’t tolerate it well these days anyway. I go through phases where my tummy won’t accept certain things and pasta is one of the current ones. I’ve been making The Shrinking Violet’s cauliflower cheese sauce from her chicken bake recipe and since it is such a fantastic substitute for cheese sauce I wondered where else I could use it in my cooking to get that cheese sauce hit but also pack in more veggies because more veggies is always a good thing! Then it came to me, lasagne made with cauliflower cheese sauce instead of béchamel sauce and tortillas instead of pasta. In my trial I also used kumara instead of lasagne sheets but it took over a bit much so I’m focussing on the tortilla version today. I posted a picture of the result on my blog’s Instagram when I made it but before I posted the recipe here I wanted to look a bit more into the nutritional breakdown to make sure it actually was a better choice nutritionally. I used My Fitness Pal’s Recipe Nutrition Calculator to do this assessment. Of course it has to be acknowledged that the nutritional values of comparable items (not identical brands etc) may be slightly different so this is just an approximation. In terms of overall calories there wasn’t too much of a difference. The normal lasagne has 1469 kJ or 351 cal per serve. The tortilla lasagne has 1380 kJ or 330 cal per serve. The tortilla lasagne is slightly lower in protein content and slightly higher in fat content. 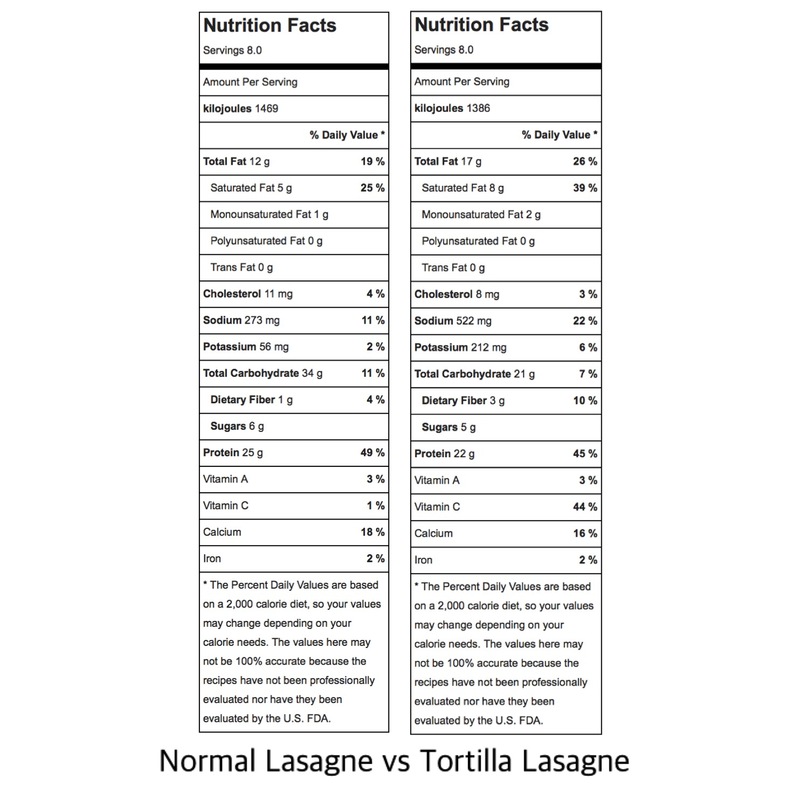 The big difference that convinces me to stick with tortilla lasagne over normal lasagne is the difference in carbs, per serve there are only 21g of carbs as opposed to 34g of carbs. That’s a difference of 13g, over a third of the carbohydrate content! See the image below for the breakdown of each recipe per serve. When cooked the tortilla fluffs up a bit and to be honest you can barely tell that it’s not pasta. If I hadn’t of known otherwise I wouldn’t have guessed. The cauliflower cheese sauce is also really good and you can barely tell that’s not proper cheese sauce either. Since you’re getting more veggies in with the tomatoes and cauliflower I will eat a portion of this as a complete meal but if I had room left to fit anything else in a nice green salad would be the perfect accompaniment. Without further ado here’s my bariatric lasagne recipe! 1 medium/large cauliflower cut into florets, I cut the bigger ones into halves or quarters. 8 Small tortillas. I use the Old El Paso mini ones. Turn your oven on and leave it to heat to 180C on bake. Heat up a saucepan and throw in the olive oil, onion and garlic. Cook until the onion is soft and browned. Add the mince, cut it up with your wooden spoon as necessary and cook until brown. While that’s on put your cauliflower florets into a steamer and cook until they are tender. Once the mince is browned add your tin of tomatoes, tomato paste, basil, oregano, crushed oxo cube and if needed, a bit of water to get it to a good consistency and mix it all up. Simmer this for 10 minutes. Mix your Bisto up with 100ml of water in a cup and then add to your mince mix. Simmer for a further 5-10 minutes to let it thicken a bit and then it’s ready to go. Once your cauliflower is tender put it into a big bowl, I use the bottom pan from my steamer set (if you’re using a stick blender) or tip it into a food processor. Add the butter, sour cream, cheese and salt and pepper and mix until it is smooth, or as smooth as its going to get! Cut your tortillas in half as this will give you a nice straight edge to align them to the sides of the baking dish. Line the bottom with 4-5 tortilla halves, put half of the mince mix on top, pour on a light covering of cauliflower cheese sauce and spread it out a bit. Add another layer of 4-5 tortilla halves and the remaining mince mix on top. Use another 4-5 tortillas to cover that layer and then tip the rest of the cauliflower cheese sauce on top. Sprinkle over the rest of the grated cheese and put it in the oven for 30-45 minutes or until the cheese is golden and the lasagne is bubbling around the edges. This is the first layer of tortilla’s, mince and cheese sauce. This recipe makes eight bariatric sized portions and if there’s any leftovers you can freeze them in single portions or save them for lunches/dinners for the following few days. This lasagne is really tasty and has a great amount of protein and go in it for our little tummies. It’s so close to traditional lasagne that you can serve it to your family and they may not even notice the difference! I will be making lasagne like this from now on and if you wanted more veggies in it you could always add grated carrot or finely chopped broccoli to the mince mix. 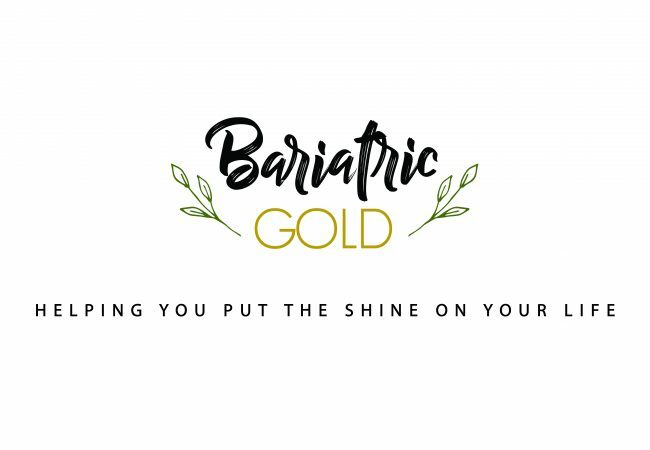 Have you found any great variations or substitutes for your old favourites after bariatric surgery? This cauliflower cheese sauce is so good and I am trying to think of more ways I can use it because I can’t get enough of it. Please let me know if you make this and what you think, is this something you’re keen to try? Comment below and let me know! Please note: If you are less than nine months out from surgery you may want to give the tortillas a miss. Please use your best judgement on how big portion size you should have and what parts of this dish you can reasonably eat depending on where you’re at. Consult your dietary recommendations for the stage you’re in and adjust the recipe accordingly. The recommended portion size is suitable for post-ops who are back to ‘normal’ after at least nine-18 months out from surgery. 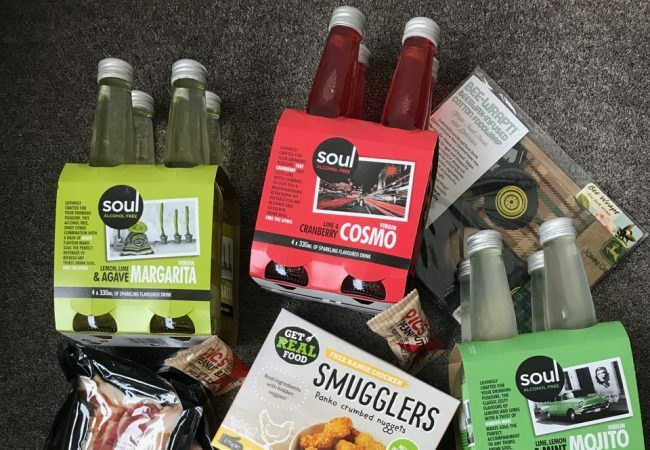 My Auckland Food Show Top 5 Picks! YUM! This sounds amazing, I love the sound of that cauliflower cheese sauce. I’m gluten intolerant and use strips of zucchini instead of tortillas, that might work for people less than nine months out from surgery? I cut them about 0.5cm thick, put some salt on them and leave them between paper towels for 10-15 mins to draw out moisture , then lightly grill them in the oven. It’s a good way to get in extra veges and not as heavy as kumara. I’ve also tried aubergine (prepare in the same way) and pumpkin (just cut thin and grill), both are delicious. 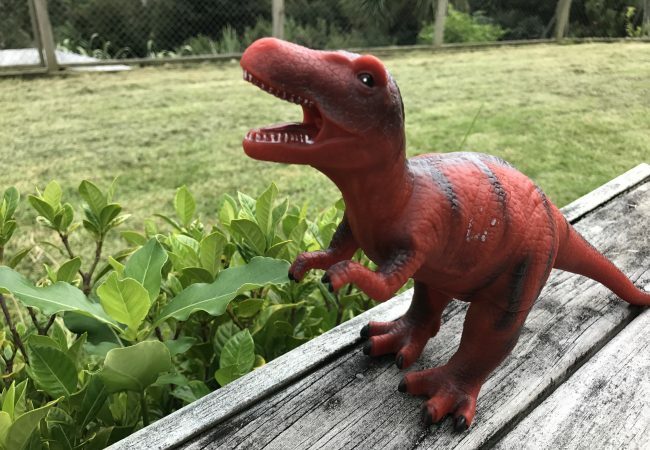 Thank you Meagan! It was so good and I really couldn’t tell the difference from how I usually make it. Yes, there are SO many different ways you could make it to sub out the pasta or tortillas and once you start thinking about it the options are endless. All of those ways you’ve tried it sound awesome too! I am going to try this. I have been using spinach instead of tortillas though but had not done with cauliflower sauce…yummy. Spinach and the cauliflower sauce sounds like a very good combination, all those veges!